Denise Phillips keeps an eye on the bouncers at hot nightspot Frenzy while below Rob Phillips watches over the movers and shakers in the heady world of cocktails. 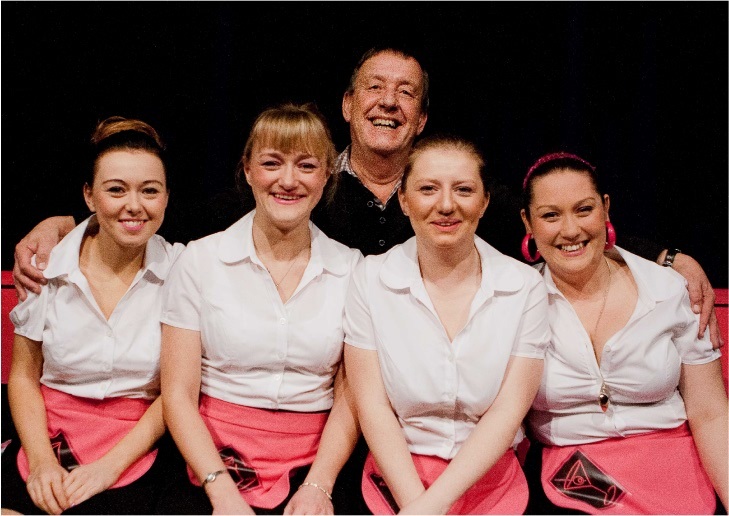 IT MIGHT seem as something of a risky step to abridge two well-known John Godber works and present them in unison as a single night's entertainment, but that's what the Highbury players have managed to do successfully with a double bill of Bouncers and Shakers. It could have been a bit of a BOGOF situation but in reality the quality in the performances, direction and technical execution guaranteed that neither play is cheapened by the offer. We began the evening with Shakers, Godbers and Jane Thornton's study of the inner workings and life in a Northern Cocktail bar. This featured Louise Farmer as Adele, Jayne Rickard as Carol, Laura Chinn as Mel and new member Theresa Stokes as Nicky. Godber's script in both plays is both intense and insightful, calling for a great deal of precision and close timing. Remarkably the girls never missed a beat, each effectively managing the flow from syncopated delivery to poignant monologue with ease. As the girls take us through their work, their lives, lost opportunities and dreams; they also become the many customers, both male and female, who frequent the Shakers establishment and everyone displayed great ability in the transformations. Bouncers takes the same dramatic format requiring again razor sharp timing to make it all work. 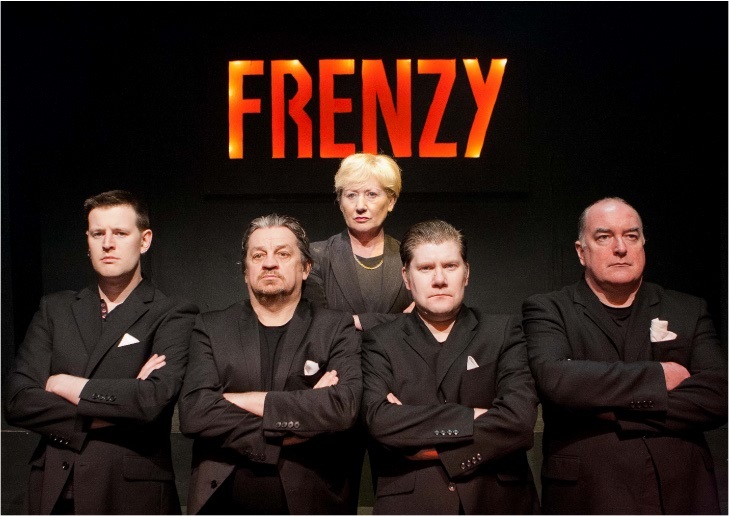 Set in a nightclub ,this time Frenzy's ,four doormen, played by Simon Baker as Les, Richard Ham as Ralph, Kerry Frater as Judd and Keith Hayes as the philosophical Lucky Eric take on a wide range of amusing personas to create a night out in the North, Godber style. The lads had to face an additional challenge as their play also requires a lot of physicality and there was a high degree of well executed choreography that added an additional comic dimension. The opening began slightly nervously but after a few minutes the quartet gelled into a team and produced an excellent and well-coordinated performance. John Godber gives a director a great deal of flexibility to develop and augment the basic text and directors Rob Phillips with Shakers and Denise Phillips with Bouncers must be commended in building two very professional productions. If there was any risk on Highbury's gamble then it was quickly forgotten because as a first and second act these two plays work so well together and for an amateur theatre looking to fill seats it's also a smart idea. If you don't rate the first half and that paly, then stick around as there is another one after the interval.